Bankruptcy in the United States seeks to benefit both debtors and creditors by seeing that debtors get relief from debts they can't pay, and that creditors get paid from whatever assets the debtor does not need to live going forward. Bankruptcy is governed by the federal law found in Title 11 of the United States Code. As federal law, it supercedes any conflicting state law by reason of the Supremacy Clause of the Constitution. With the exception of exemptions (i.e. the dollar amount the debtor may retain of various categorized property), it is the same from state to state . 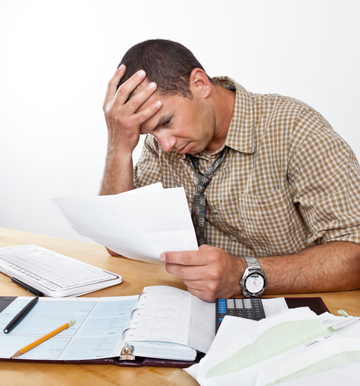 There are four kinds of bankruptcy proceedings avaiable to individual debtors. They are referred to by the chapter of the federal Bankruptcy Code that describes them. Chapter 7 is the most common form of bankruptcy. It is a liquidation proceeding in which the debtor's non-exempt assets, if any, are sold by the Chapter 7 trustee and the proceeds distributed to creditors according to the priorities among creditors established in the Code. Chapter 7 is available to individuals, married couples, corporations and partnerships. Individual debtors generally obtain a discharge of all debts after 3 months. If there are assets which are not exempt, the trustee takes control of those assets, sells them and pays creditors as much as the proceeds permit. For the most part a debtor is able to get rid of all unsecured creditors; i.e. ( Macy's, Discover, Visa, and other credit cards). Any wages the debtor earns after the case is begun are the debtor's, beyond the reach of creditors who had claims on the date of filing. Chapter 11 is a reorganization proceeding, typically for corporations or partnerships. Individuals, especially those whose debts exceed the limits of Chapter 13, may file Chapter 11. In Chapter 11, the debtor usually remains in possession of his assets and continues to operate any business, subject to the oversight of the court and the creditors committee. The debtor proposes a plan of reorganization which, upon acceptance by a majority of the creditors, is confirmed by the court and binds both the debtor and the creditors to its terms of repayment. Plans can call for repayment out of future profits, sales of some or all of the assets, or a merger or recapitalization. Chapter 13 is a repayment plan for individuals with regular income who for any number of reasons are unable to meet immediate finacial obligations, but through the assistance of a Chapter 13 plan will make court-approved payments for a period of 3-5 years. Some debtors are forced to file for Chapter 13 due to too much equity in a residence or too high of an income. In addition there are other reasons that would prevent a debtor from filing a Chapter 7 proceeding. The debtor keeps his property and makes regular payments to the Chapter 13 trustee out of future income to pay creditors over time (3-5 years). Repayment in Chapter 13 can range from 10% to 100% depending on the debtor's income and the make up of the debt. Certain debts that cannot be discharged in Chapter 7 can be discharged in Chapter 13. Chapter 13 also provides a mechanism for individuals to prevent foreclosures and repossessions, while catching up on their secured debts. Unlike Chapter 7 the debtor does not receive an immediate discharge of debts. 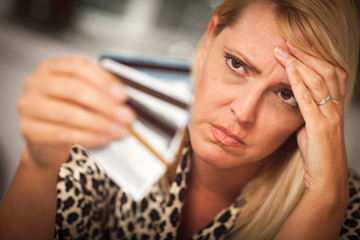 The debtor must complete all payments under the court-approved payment plan. It is possible under a Chapter 13 for a homeowner, in certain circumstances, to remove a second deed of trust if the entire obligation is not covered my any equity in the residence. This is commonly known as "Lien Stripping". 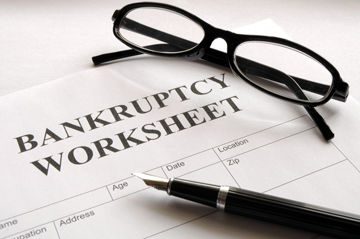 Click here to download our Bankruptcy Worksheet. Fill it out and then contact us to set-up an appointment. (510) 794-5297. The staff at Newark Legal Center has completed over 2,000 Chapter 7 bankruptcies and will diligintely work with you to qualify you to file a Chapter 7 if its legally possible.